Plant Tissue Culture is a technique of growing cells, tissues or organs in sterilized nutrient media under controlled aseptic conditions. The plant material to be cultured may be cells, tissues or plant organs such as excised root tip, shoot tip, shoot bud, leaf petiole, inflorescence, anther, embryo, ovule or ovary. The capacity to generate a whole plant from any cell/explant is called Totipotency. Unlike animal cells, highly mature and differentiated plant cells retain the ability of totipotency. During the 1950s, scientists learned that the whole plant could be regenerated from explant i.e. an isolated plant part cultured in a test tube. The explants (buds, stem, seeds) are trimmed and then subjected to sterilization in a detergent solution. After washing in sterile distilled water, the explants are placed in a suitable nutrient medium and incubated. The nutrient medium used in the technique must provide a carbon source such as sucrose and also inorganic salts, vitamins, amino acids and growth regulators like auxins, cytokinins etc. Also Read: What are Explants? There are different types of plant tissue culture techniques, mainly based on the explant used. Callus Culture: The culture of differentiated tissue from explant which dedifferentiates to form callus. Organ Culture: The culture of isolated plant organs such as embryo, seed, anther, ovary etc. Cell Culture: The culture of isolated individual cells, obtained from an explant tissue or callus is regarded as cell culture.Protoplast Culture: Plant protoplasts (i.e. cell devoid of cell walls) are also used for culture. Tissue Culture is used in Micropropagation i.e. large scale propagation of plants in very short durations. Many important food plants like tomato, banana, apple etc. have been produced on the commercial scale using this method. This technique is used to recover healthy plants from diseased plants. Although the plant is infected with a virus, the meristem (apical and axillary) is free of viruses. Scientists have succeeded in culturing meristems of banana, sugarcane, potato etc. Tissue culture technique is also the best method for storing germplasm and maintaining a specific genetic type (Clone). This technique is used in those plants which produce recalcitrant seeds or produce highly variable seeds. NCERT, Biology: Textbook for Class XII. New Delhi: NCERT, 2006. Print. Satyanarayana. U., Biotechnology. Kolkata: Books and Allied (P) Ltd., 2013. Print. Previous PostWhat is Speciation?Next PostWhat is meant by Cellular Totipotency? very well described article. 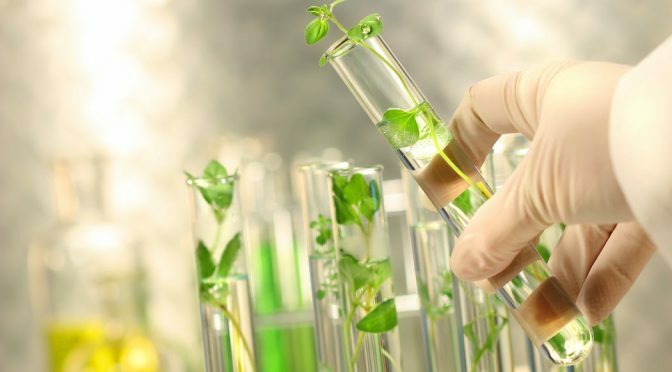 Tissue culture technique is one of the most potential biotechnological techniques for the cultivation and conservation of plant bioresources. Thank you, Pritam Sir. Yup, plant tissue culture play a vital role in plant biotechnology. Most of the genetic engineered plants are grown and multiplied by this technique. I like your post, I wish you should write more about its types. Check out my article I also have written some amazing articles, but inspired a lot from you.